When comparing prices on plug in light tower rentals in Santa Cruz, Gilroy and San Jose, ask about sales tax and environmental fees. Ideal for any application where optimal visibility is crucial, the CPLT V3 LED is also simple to plug into an electric power source, such as an outlet or generator. They feature four 160 W high-quality LED bulbs and provide an average coverage of 32,300 sq. ft. The 16 foot manual vertical mast can be easily raised to achieve the maximum coverage. Meanwhile, the robust canopy protects the light tower and maintains its peak performance in varying weather conditions. And it will fit through a standard door! 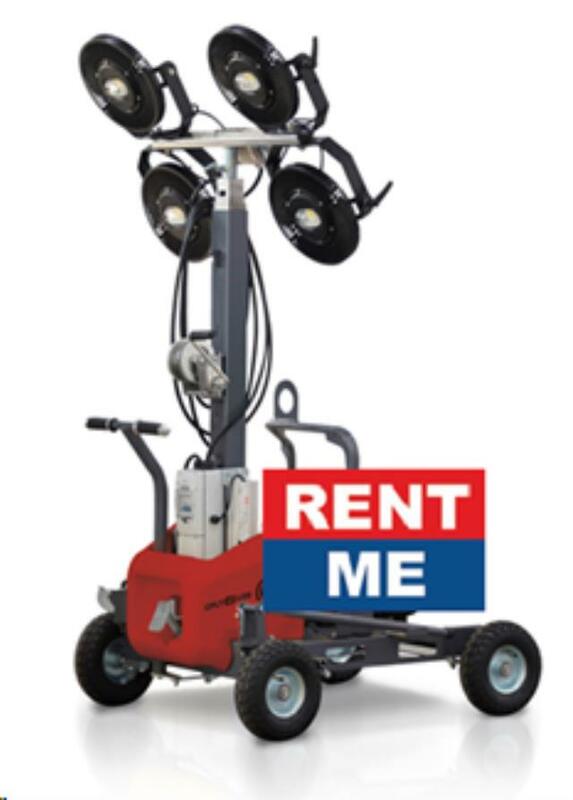 * Please call us for any questions on our 16 foot portable plug in light tower rentals in San Jose, Campbell, Salinas, Santa Cruz, Watsonville, Morgan Hill, Hollister, Santa Clara, Gilroy, Milpitas Sunnyvale, Fremont, Salinas, the Greater Bay Area and the Monterey Peninsula.